What does winter in Seattle taste like? For some of us, it’s the briny snap of an Olympia oyster lifted from the icy waters of Puget Sound. Washington is the biggest producer of oysters on the Pacific Coast, and right now, the mollusks are at their peak—plump, crisp and bursting with Champagne-loving salinity. 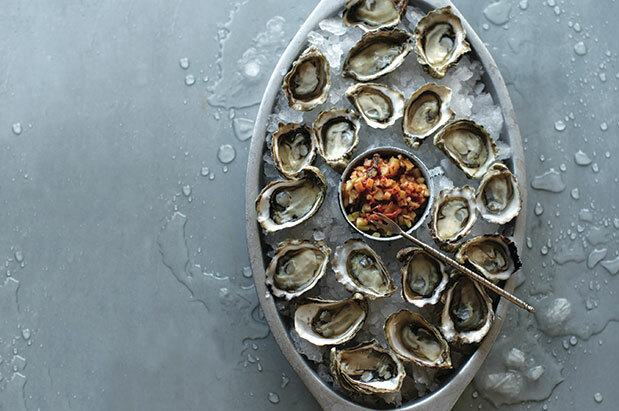 Culinary expert (and former Seattle mag food editor) Cynthia Nims relates the story of these beautiful bivalves in a new cookbook, Oysters: Recipes that Bring Home a Taste of the Sea (Sasquatch, $19.95), out this month. Inside are instructions for selecting, storing and shucking; 30 recipes, from hash to half-shell with kimchi-cucumber relish; and trendy spots for slurping—when you’re not preparing your own, that is. See you at Taylor Shellfish.